mouse medicine: what's in a name? early monday morning cleveland's native son and unique literay genius harvey pekar died. long time collaborator r. crumb once described harvey as "the soul of cleveland." last week's announcement of the departure of basketball savant lebron james focused attention on cleveland, but harvey's departure is the departure that truly breaks our hearts. in 2003 the film american splendor starring paul giamatti was released. the filmmakers did well with their adaption of harvey's award winning american splendor anthology - like harvey the film is hilarious, cutting, cantankerous, and deeply affecting. rest in peace harvey, we will miss you! Rest In Peace Harvey Pekar. Terrific video. "Another reliable disappointment." "I want to make one thing clear right away: I've had a vasectomy." HP made the personal universal and the universal personal. Not a bad trick. RIP. Leaves Larry David to carry a related torch - not exactly the same, but the ongoing objection to the petty humiliations of everyday existence. Never heard of the guy, never knew about his comics (I'm not a comics or graphic novel reader) until his obituary showed up all over the Internet. I like the movie clip though. Then again, I've always been a Paul Giamatti fan. Interesting. 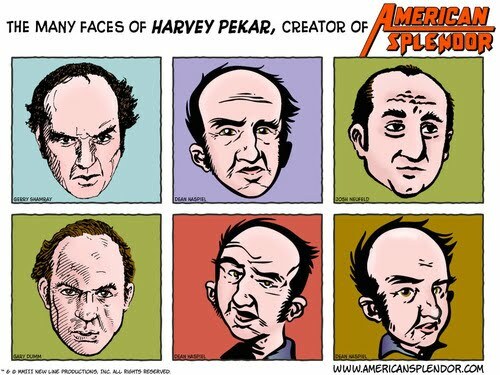 When I have the time I'll have to look into Harvey Pekar.